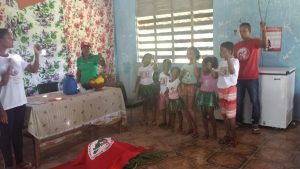 The Landless Workers Movement (MST) is a Brazilian social movement that fights for land, agrarian reform and social transformation. Founded in 1984, MST was born out of the struggles of peasant farmers who were displaced from their lands, and thus motivated to fight against land tenure structures based on large plantation systems (latifundias). MST was supported by progressive sectors of churches, as well as urban and rural trade unions with progressive characteristics. Currently, MST organizes more than 1.5 million people, in ~1,200 municipalities located in 23 states and Brasilia, the capital. About 380,000 families have won their land and now live in settlements. 130,000 families are still fighting for land and currently live in encampments. These families have organized themselves in participatory and democratic structures within MST, building a better life for their families by providing access to education, health, and promoting culture, based on a relationship of cooperation and respect with nature. More than 60 cooperatives and approximately 100 associations are part of MST’s economic development strategy, which are building towards Food Sovereignty for Brazilian people. 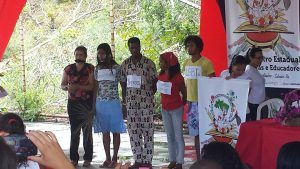 MST is part of La Via Campesina, an international movement of more than 170 peasants movements in 80 countries around the world. Read more about MST on our blog.